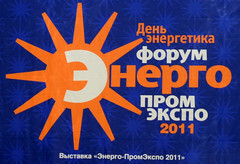 The participants of the Energy Industry Expo 2011 Forum held in Yekaterinburg think that, although the function of the energy development is vested on the subjects of the Russian Federation, in reality they cannot be responsible for this area. The reason for that is non-working Government Resolution № 823. This document requires regional authorities to create regional energy development schemes, but existing programs are descriptive and do not look like guides to action. Being asked what should not be an energy system of the future, representatives of energy companies in the Sverdlovsk region answer: the energy system dependent on imported fuel generating unnecessary costs. The structure of the fuel consumption of the Sverdlovsk region, as in majority of the Russian regions, does not correspond to the structure of regional fuel stocks. Energy is mainly imported from other regions, with the share of imported fuel reaching 92%. Another feature of the current energy model in the region is over-centralization of power supply. "Without a change in this sector, Sverdlovsk region will face energy collapse," - says Alexei Sokolov, one of the initiators of the Energy Forum, Head of Energy Department of Energy and Housing in the Sverdlovsk region. The new energy strategy, independent of external fuel supplies, shall rely on local energy sources and be based on energy efficiency and advanced technologies. Balanced and sustainable development of the Urals requires electricity from local sources, which could be more effective today and, for sure, less expensive. According to experts, the total capacity of small hydropower plants located on the rivers of the Sverdlovsk region may reach 600 MW. Wind turbines have about the same potential. Another 300 MW could be produced by biofuel from wastes of timber industry. Representatives of environmental organizations agree with the opinion of power industry engineers. "Despite the fact that the Urals is not the most promising region in terms of renewable energy in Russia, alternative energy has great future here.” - Gennady Raschupkin, the executive director of the Ural Ecological Union, says. – “Traditionally, in the Urals and in Russia the entire economy was based on the energy from wind and water. Mills and small dams have been preserved in some settlements up to the present." However, one point from the Concept for development of distributed energy system in the Sverdlovsk region causes disagreement of representatives of environmental organizations. This is development of nuclear technologies. The planned expansion of the Beloyarsk NPP with fast-breeder nuclear units and another novelty, an underground nuclear thermal power station raise fears of environmentalists. Although the creators of the nuclear technology assure that the electricity from the existing structures would be safer, cheaper, environmental activists do not believe the promises. They are sure that the nuclear energy has been completely discredited during the years of its existence. Urals are not the place for nuclear experimentation, nuclear technologies are not an alternative to coal and gas. After discussing the concept of distributed power system in the Sverdlovsk region, the regional Department of Energy intends to finalize the document and submit it to the Government and the Governor of the Sverdlovsk region. Representatives of environmental organizations plan to participate in this process and prepare their proposals to the regional energy document.